Welcome Competitors, Martial Arts Enthusiasts, Family and Friends,It’s with great pride and pleasure that we invite you to 2018 12th Annual “BAY NATIONALS!! !” Be sure to mark your calendars for March 23rd in American Canyon, California, hosted at the American Canyon High School Gymnasium. Seronio’s IslandBred Martial Arts is confident that all of our newcomers and supporters alike will have the warm Aloha experience that Seronio’s IslandBred Martial Arts is known for hosting. We all believe that with great competiton builds great character within. 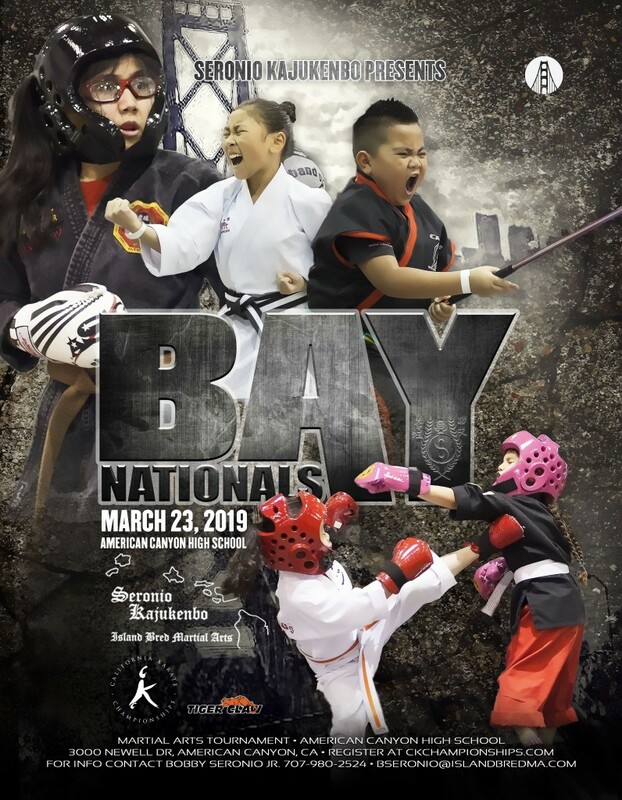 At The Bay Nationals you will certainly be amongst the best that the Bay Area has to offer in which you will grow as a martial artist. We truly believe that as a martial artist, it’s not how much you know or your rank, but how many people you give to in a positive way.